Looking for a rare yellow diamond? This is one of a kind. This 10 carat radiant yellow diamond ring is exactly as its cut suggests… Radiant!! The impeccable center diamond is 10 carats and has a Fancy Yellow color. It is flanked by two trapezoid white diamonds and set in 18 karat yellow gold. The side stones are a beautiful F-G color and VS clarity and weigh 2.40 carats total. 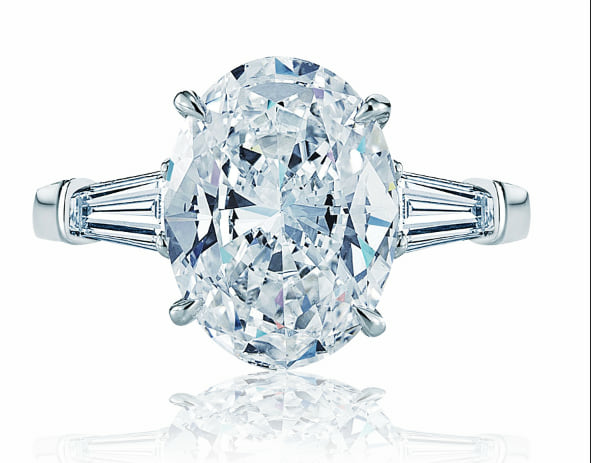 A ring like this will set any woman apart, come see this wonder from the earth at Winston’s Crown Jewelers. Looking for a rare yellow diamond? This is one of a kind. This 10 carat radiant yellow diamond ring is exactly as its cut suggests… Radiant!! The impeccable center diamond is 10 carats and has a Fancy Yellow color. It is flanked by two trapezoid white diamonds and set in 18 karat yellow gold. The side stones are a beautiful F-G color and VS clarity and weigh 2.40 carats total. A ring like this will set any woman apart, come see this wonder from the earth at Winston’s Crown Jewelers. We acquire the rarest and largest of diamonds found in Orange County and have the largest diamond selection in Southern California .This ring and many like it are crafted and designed in our Newport Beach location, west of Costa Mesa and north or Laguna Beach and Corona Del Mar. If you are looking for an engagement ring that is custom or has a large or rare diamond in Newport Beach, Corona Del Mar, Laguna Beach, or anywhere else in Orange County than look no further.